Thanks Julie! I can see the butterfly inside its chrysalis, but it still hasn’t come out yet. 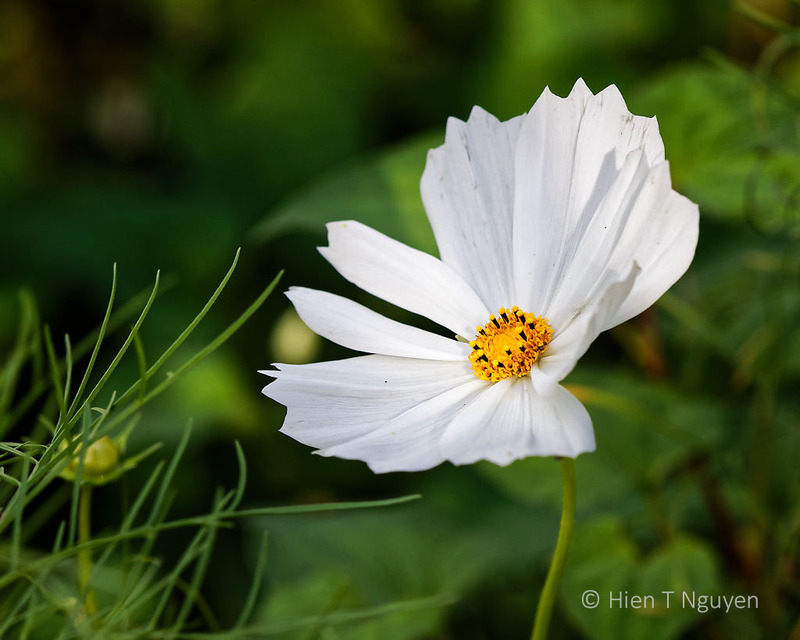 Wonderful photographs Hien, I could reach out and touch the flowers. Love seeing the monarch chrysalis- it’s the burst of the butterfly that becomes the awe of natures gift. Thank you Mary! This summer’s rain has given us many flowers, even until now. 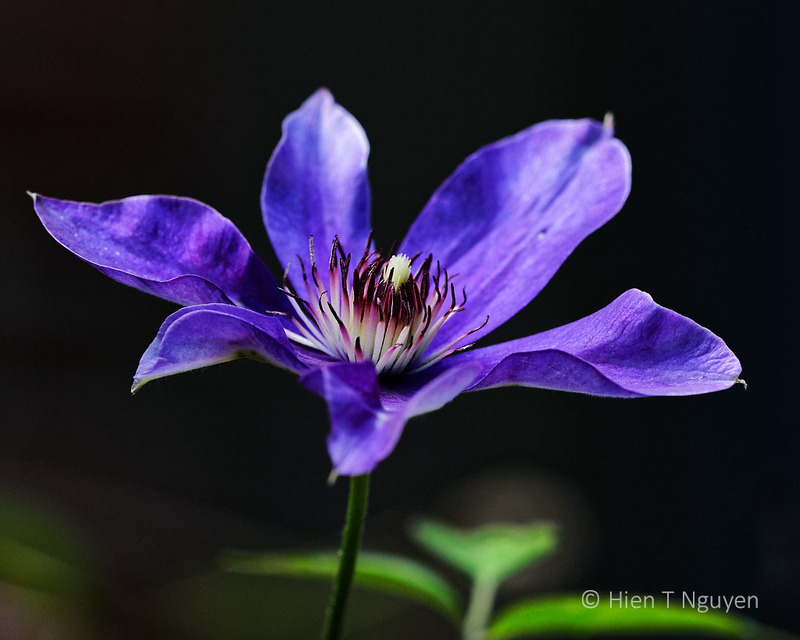 Gorgeous pictures, Hien! Loved to see the Monarch butterfly chrysalis too. The chrysalis is a wonder! I do hope you will get to see the butterfly emerge. Such vibrant flowers which are a joy to see. I am glad you identified the Green Sweat Bee. I see them a lot in my little garden in Florida. They are so tremendously small though and I just could not get a decent picture with my cell phone. I was real happy to see your enlarged photo. 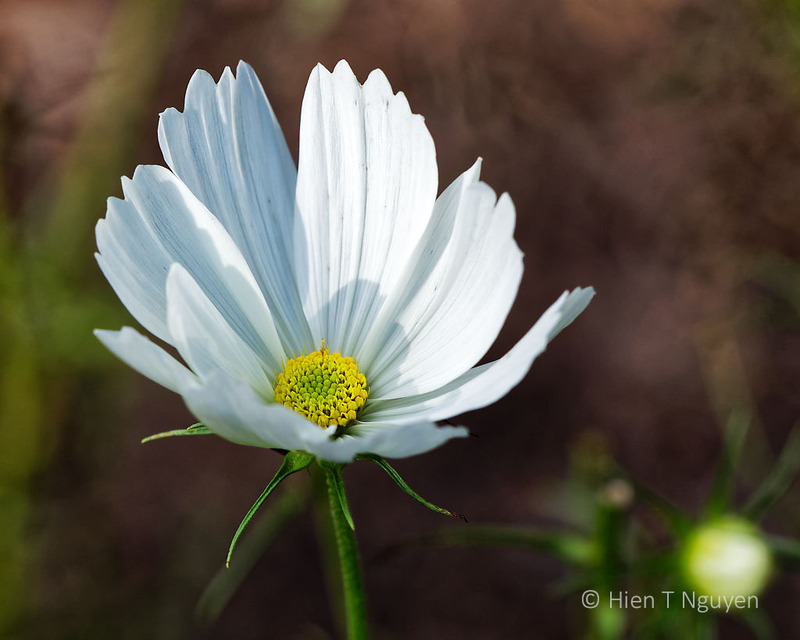 I really hope that you’ll be there when the butterfly emerges, Hien! Me too, thank you Dries! Beautiful flowers and love the metallic green bee – a wonderful capture. The chrysalis is beginning to look translucent. Soon! Thanks Eliza! The weather is still warm for this time of the year, so perhaps the butterfly will come out soon. 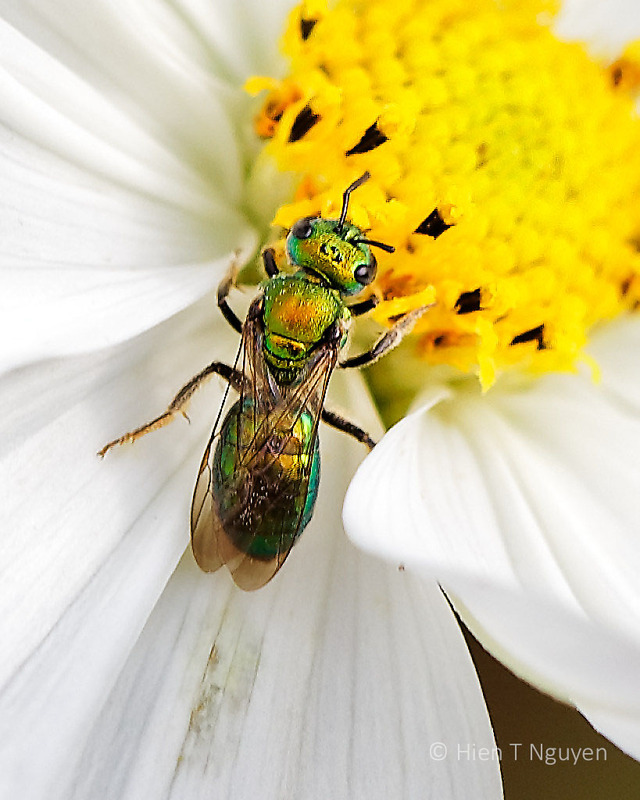 How did you get that awesome image of the green sweat bee? I’ve been trying to get even a good image of one of them for years. 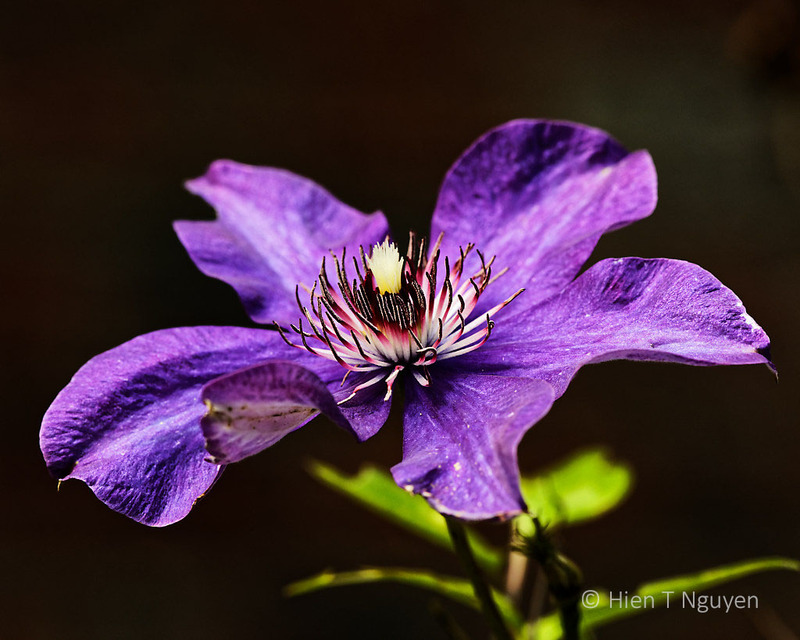 That applies to your images of the flowers as well, I thought that I was getting much better detail in the images shot with the 5D Mk IV, but the detail in your images blow me away, on top of your excellent use of light and composition. The chrysalis will turn clear before the monarch butterfly emerges from it, you’ll be able to see the butterfly within it soon I hope. Thank you Jerry! That sweat bee was there when I was taking pictures of the flowers. It only landed briefly before flying away. I hope the next few days will be sunny so that I can go out and watch the Monarch emerge. 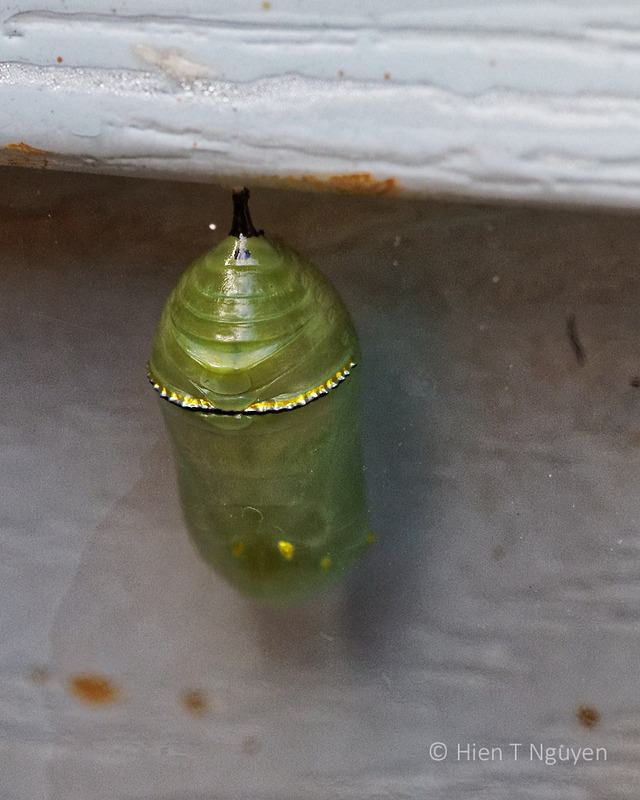 That chrysalis is still there as of today, and it is getting more transparent. It is raining now, but if it is sunny tomorrow I will try to watch it more often to see when the Monarch butterfly will emerge.